Description Fewer than twenty Chinese films from the 1920s survive, so the recent discovery of a mostly intact print of film pioneer Shouju Zhu’s 1925 film Stormy Night (Fengyu zhi ye) is a reason to celebrate. The story of an unhappily married couple who gradually learn to appreciate their relationship, the film shows an intricacy of narrative and impressive camera movements that distinguish it from other surviving films of the period. The print was discovered in 2006 in Japanese director Teinosuke Kinugasa’s personal collection and identified in 2011. 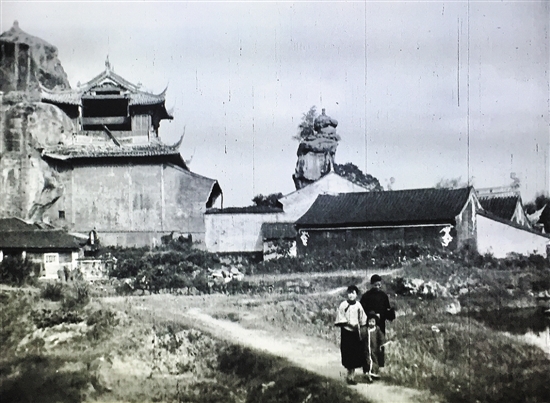 This is the first chance audiences outside Asia will have to see this important film, which challenges scholars to rethink their previous understanding of early Chinese cinema. Curated by Yuqian Yang and Pao-chen Tang (CMS) as part of the Graduate Student Curatorial Program. Weihong Bao is an associate professor in film studies at UC Berkeley. She is the author of Fiery Cinema: The Emergence of an Affective Medium in China, 1915-1945, and is one of the leading scholars on early Chinese cinema. Her research interests cover late nineteenth century visual and performance culture, Chinese language cinema, comparative media history and theory, and the intersection between film and media. She currently serves on the editorial board for Feminist Media History. Shi Chuan is a professor at Shanghai Theater Academy, vice president of the Shanghai Film Association, and chief curator of the Shanghai Film Museum. His articles have appeared in a wide range of Chinese journals, including Film Art, Contemporary Film, and Culture and Art Studies. He has been deeply involved in the rediscovery, identification, restoration, and promotion of The Stormy Night. Singaporean composer Tan Yuting is a PhD student in Music Composition at the University of Chicago. She also holds Master of Music degrees from The Peabody Institute of the Johns Hopkins University. Yuting’s music has been performed around the world, and has been awarded first prize in the Macht Competition for Composition (2018) and first prize in the Virginia Carty deLillo Composition Competition (2018). Co-sponsored by the Center for East Asian Studies and the Film Studies Center.